Standard power liftgate, power-folding side mirrors, HomeLink® garage door opener, remote start, and illuminated entry all make life on the go in Providence easier. This roomy Mercedes-Benz interior comes with 40/20/40 split rear seats with power folding, a maximum cargo capacity of 56.5 cubic feet, and a standard storage package. Available Voice Control system, as well as standard features like ATTENTION ASSIST®, Brake Assist (BAS®), rain-sensing wipers, and more mean you don’t have to worry when you go out on East Greenwich roads. The 2018 Mercedes-Benz GLC SUV is built with an aluminum and high-strength steel body structure, and pairs with the Electronic Stability Program (ESP®) and Trailer Stability Assist for a towing capacity of up to 3500 pounds. At Mercedes-Benz of Warwick, we will always keep your 2018 Mercedes-Benz GLC in top shape with genuine Mercedes-Benz performance parts. Find this new Mercedes-Benz SUV for sale, browse our entire selection of high-performance Mercedes-Benz AMG® for sale near Cranston, or compare the Mercedes-Benz GLC prices today! 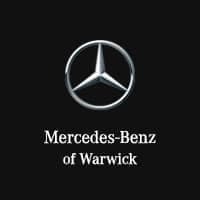 Mercedes-Benz of Warwick	41.697621, -71.4983052.